Lockyer Sheds has worked with the equestrian community for over two decades and we’ve come to understand what’s important to breeders, trainers and private horse owners. 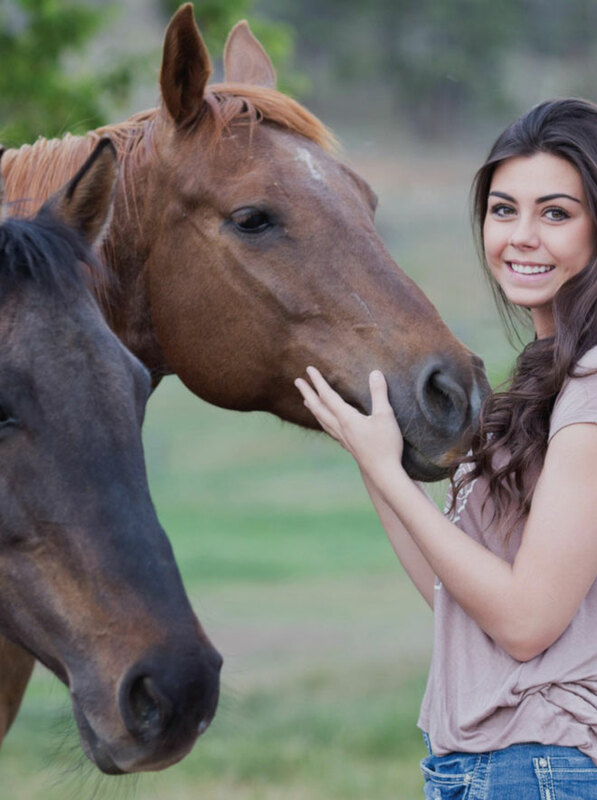 Whether you’re working with horses recreationally or professionally, we know your unique concerns and value of your animals to your lifestyle and business. We understand why you’d be a bit protective. Just as every horse is unique, Lockyer Sheds offer the ability to design something that is completely made with you and for you. We think ahead to everything your horse needs from comfort, safety and hygiene issues to practical things like access, equipment storage and wash bays. Lockyer Sheds build with high quality materials including COLORBOND and ZINCALUME Australian Steel, to Australian building standards. 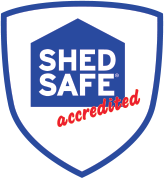 All of our horse stables are Shed Safe Accredited. There is no one you can trust more to get exactly what you’re looking for. An indoor riding arena is a valuable investment that will undoubtedly enhance your riding experience, but there are many questions that need to be answered. Small or large? Enclosed or open? What shape is ideal for your property and your purpose? Be it dressage, jumping or any other form of training? Whether you’re planning a place for personal practice or an arena to showcase competitive dressage, our arenas can be engineered to provide the ideal, stress-free environment for your horses. You can add protective elements such as partial enclosure, curtain walls or gable infills. 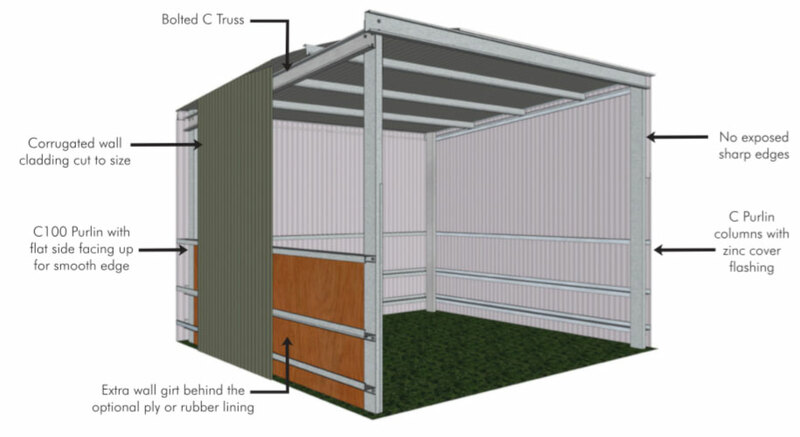 Lockyer Sheds riding arenas are made to measure to give you countless hours of riding pleasure. 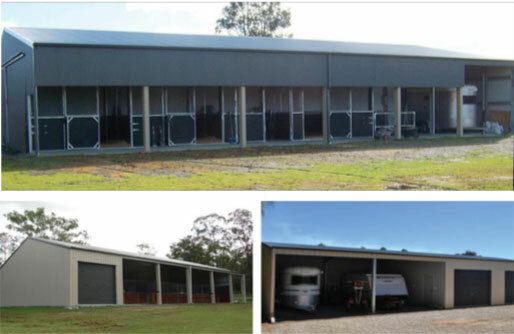 Whether you’re a breeder, racer or simply an enthusiastic owner with a need for feed storage, turf management machinery or other equipment, a well thought out storage building will give you tremendous value. If you’re like many horse enthusiasts, you’ve probably also got a hundred ideas – right down to the ventilation you’ll need, lighting, access points, flooring or additional storage space for equipment and machinery. No matter how unique your space requirements or how specific your ideas, Lockyer Sheds flexibility in design will allow you to build a shed that’s one of a kind. Including open and enclosed bays, wide or uneven bays to accommodate manner or tools, material and equipment. 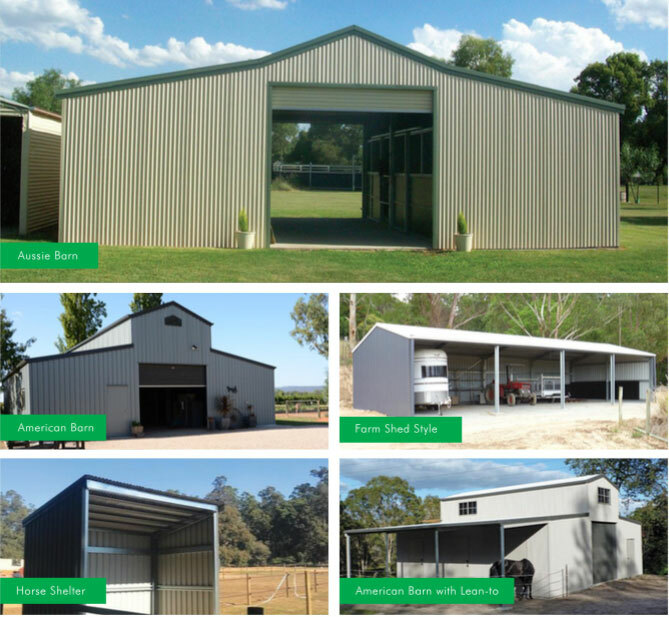 Offering both stable sheds or stable barns, Lockyer Sheds has an extensive range of styles and options to suit all situations and preferences. Whether it’s open or closed front, gable, monopitch or barn style, we’ll help assess your space requirements and adapt the design to work best for it. From flooring options to fitout materials and accessories including stable panels, shutters, day yard doors or split doors to feeding and watering, weather and drainage considerations. 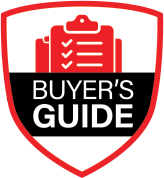 Every property is different and every owner has unique concerns and considerations. That’s where the help of an experienced builder – who knows the equestrian community – is an important factor. Our flexible design and fitout will ensure you get a stable that is not only perfect for your property, but ideal for your house. Horse shelters are a great option for those looking for something portable and practical. 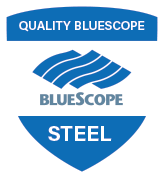 Our designers have created a steel frame structure that bolts together to offer excellent protection from the sun and extreme weather. The design is specifically engineered to be simple and economical without sacrificing strength and durability. These open front structures are carefully designed to reduce the risk to the horse. Engineered without sharp edges, they are cleverly constructed to reduce chewing and cribbing. These standard design features an extra girt for added strength. Girts are 1200mm so you can easily add optional standard size ply or rubber wall lining. 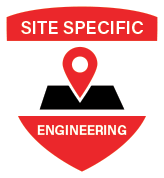 All components are delivered to the site where they can be erected and bolted together quickly with a minimum of cutting required – and it’s just as quick to disassemble and relocate and a moment’s notice. 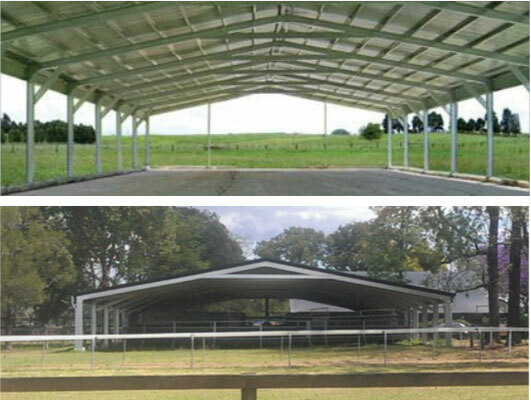 Making this the simplest, easiest way to provide excellent shelter for your horses wherever you need it.